My friend Dr. Phibes has a hilarious story about a ghost that stole his sunglasses. After tearing about the house in search, the sunglasses reappeared weeks later. However, they weren’t just found in a suitcase or a bag, according to the good doctor, they were “presented” on a shelf by his front door. This presentation left no room for interpretation: the shades were back and the ghost was making sure Phibes knew it. Search will never be obsolete. This week’s class theme, SEO, made me think of a blog post my boss mentioned the other day; the premise was that social media is making search engines obsolete. I googled the idea, and came across a post that may or may not be the one he referenced, but is nevertheless thought-provoking. I’ve been debating about including a blog roll on my website, so I searched for recent info on blog roll trends and etiquette. 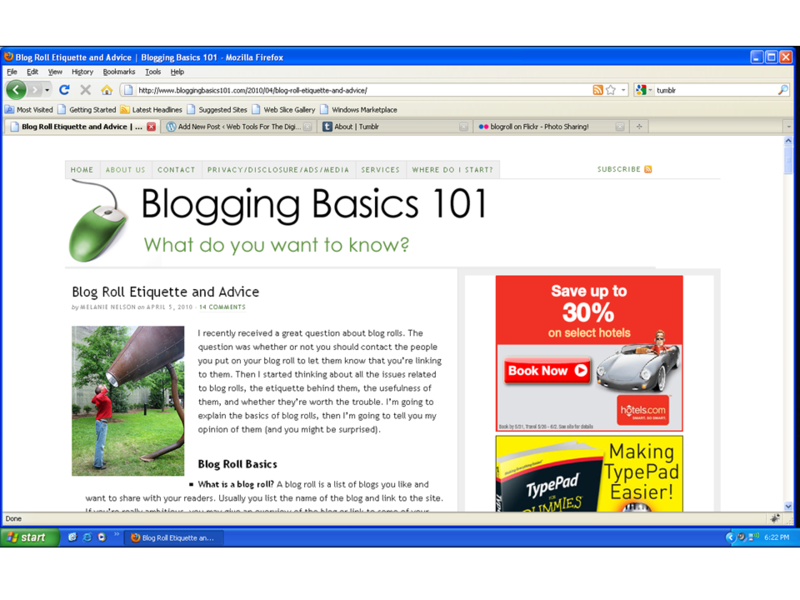 A post by Melanie Nelson of Blogging Basics 101 caught my attention. Below is a summary. We’ve covered the importance of the symbiotic relationship between usability and appearance, and that successful websites find a way to incorporate both. When considering Newsweek’s site redesign, it’s clear the designers gave great consideration to the user experience. Facebook…To Love It Or Leave It? Despite a wave of negative press in recent months over loose/deceptive privacy standards, Facebook’s growth has remained relatively steady. According to a May 26 Bloomberg article, Facebook had more than 519 million users as of last month, up from 411 million in September. 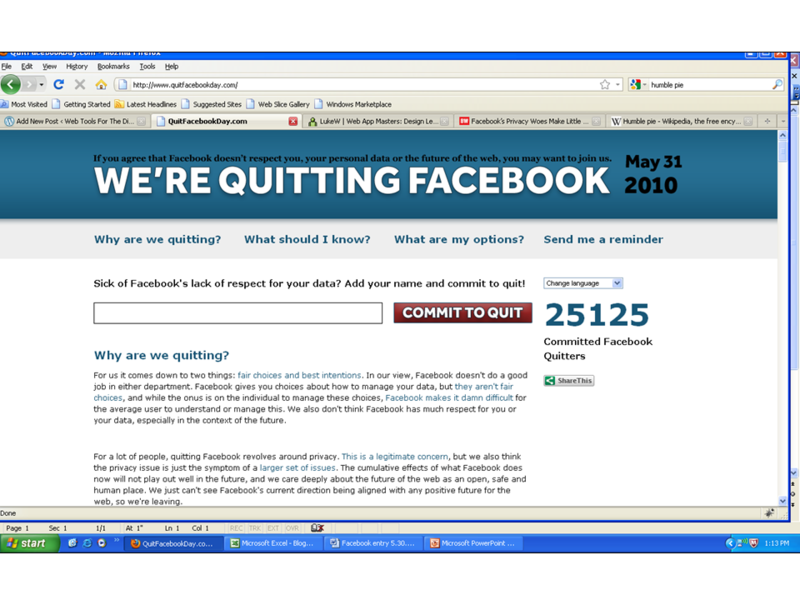 There’s an organized boycott underway called “We’re Quitting Facebook,” but the 25,000 people who have pledged to deactivate tomorrow, May 31, are a drop in the bucket when you consider the total user base.